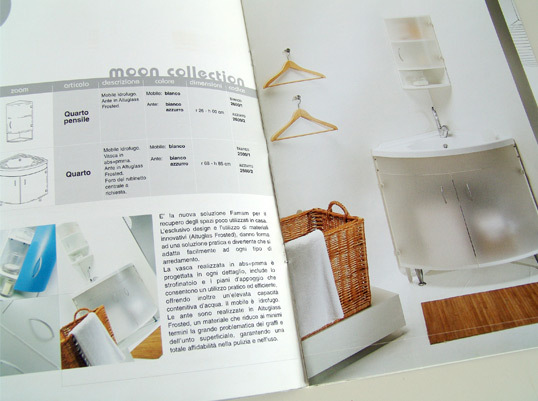 For the company Famam, we design a series of new items of bathroom furniture. 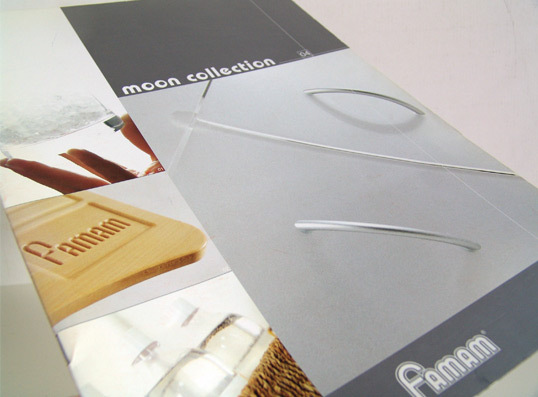 Made from the Moon Collection line needed a photo shoot, a catalog and an online presentation. 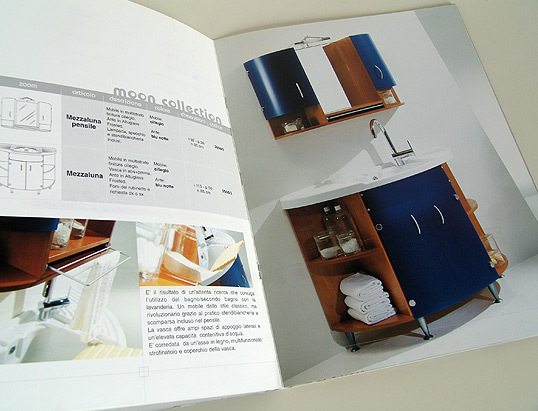 This is the catalog with pictures of the products we design, currently on the market. Posted on 29 July 2011 by admin. 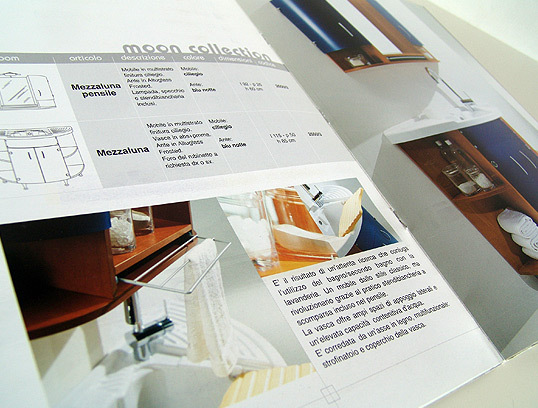 This entry was posted in brochure, industrial. Bookmark the permalink.